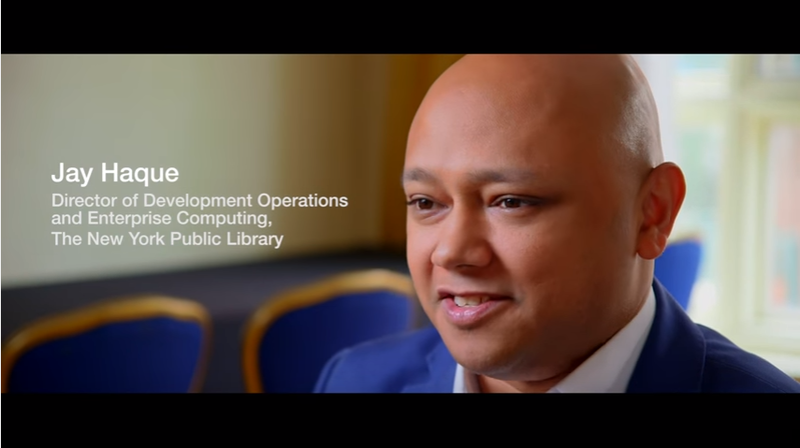 Hear how New York Public Library (NYPL) revamped its fractured IT environment—which had older technology and legacy computing—to a modernized platform on AWS. NYPL runs both its primary website and digital-collections website on AWS. These websites provide free public access to more than 700 thousand images including maps, photographs, and manuscripts. Using Amazon Elastic Compute Cloud, Elastic Load Balancing, Amazon Relational Database Service and Auto Scaling, NYPL is able to build scalable, repeatable systems quickly at a fraction of the cost. NYPL has saved money, cut time by 95 percent, and built the security infrastructure needed to serve the public. Watch the video to learn more. To learn more about how AWS can help you run websites, visit our Cloud Website Hosting detail page.